Whether we are trying to impress a date after an art-house film screening or discussing Oscar nominations with friends, we all need ways to watch and talk about movies. But with so much variety between an Alfred Hitchcock thriller and a Nora Ephron romantic comedy, how can everyday viewers determine what makes a good movie? 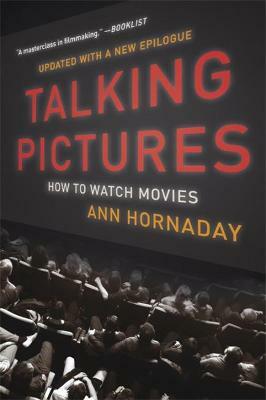 In TALKING PICTURES, veteran film critic Ann Hornaday walks us through the production of a typical movie-from writing the script and casting to the final sound edit-and explains how to evaluate each piece of the process. How do we know if a film is well-written, above and beyond snappy dialogue? What constitutes a great screen performance? What goes into praiseworthy cinematography, editing, and sound design? And what does a director really do? Full of engaging anecdotes and interviews with actors and filmmakers, TALKING PICTURES will help us see movies in a whole new light-not just as fans, but as film critics in our own right. Buy Talking Pictures by Ann Hornaday from Australia's Online Independent Bookstore, Boomerang Books. Ann Hornaday is a film critic at the Washington Post and was a finalist for the 2008 Pulitzer Prize in criticism. Hornaday lives in Baltimore, Maryland.